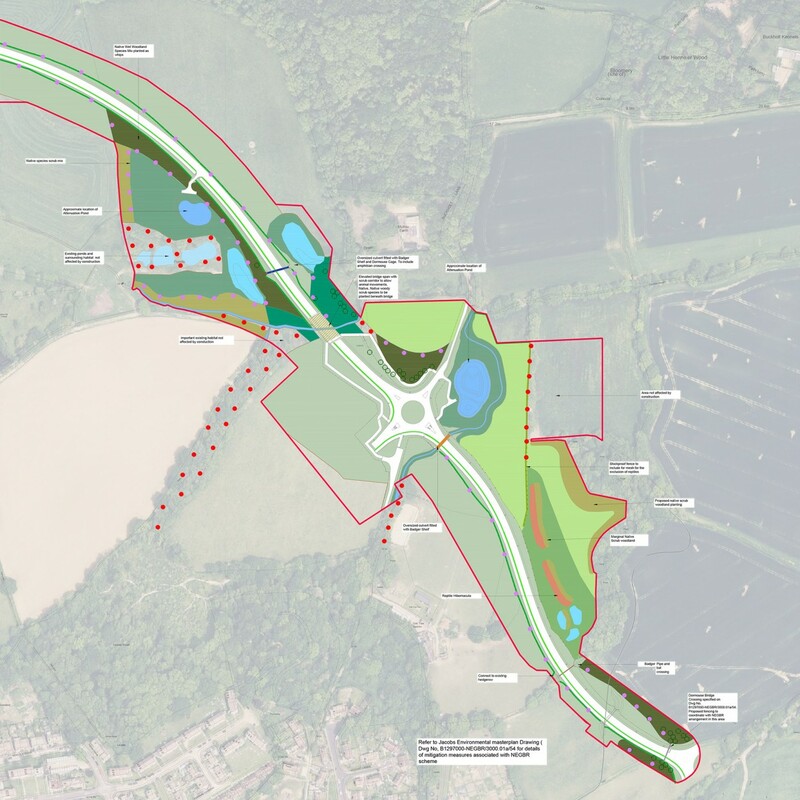 Influence were commissioned to provide landscape design proposals in support of a planning application for a major infrastructure development on the outskirts of Bexhill, East Sussex. The project formed part of a wider series of infrastructure developments in the area that are currently approaching completion for which, we have also provided a range of landscape services. 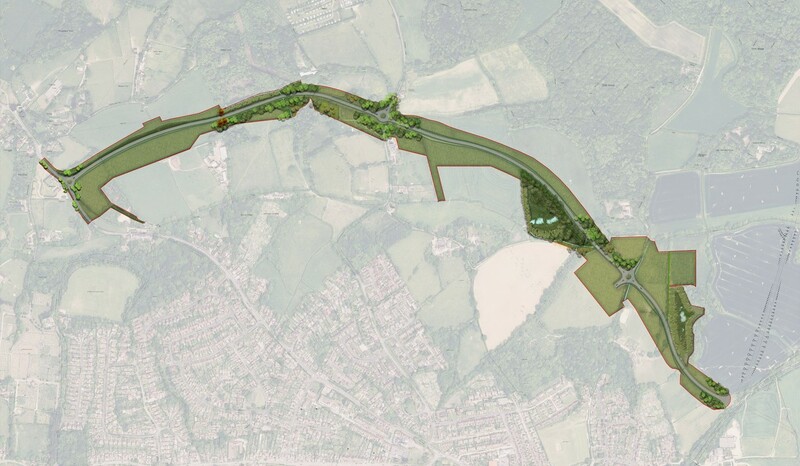 The design proposals were driven by an understanding of the local landscape character and were informed by a Landscape and Visual Impact Assessment that identified key potential effects and impacts associated with the proposals. The assessment proffered a number of landscape and visual mitigation measures which, following implementation, would serve to reduce adverse effects both during the construction and operational phase of the development. The landscape design also took account of ecological mitigation which included substantial habitat compensation requirement. 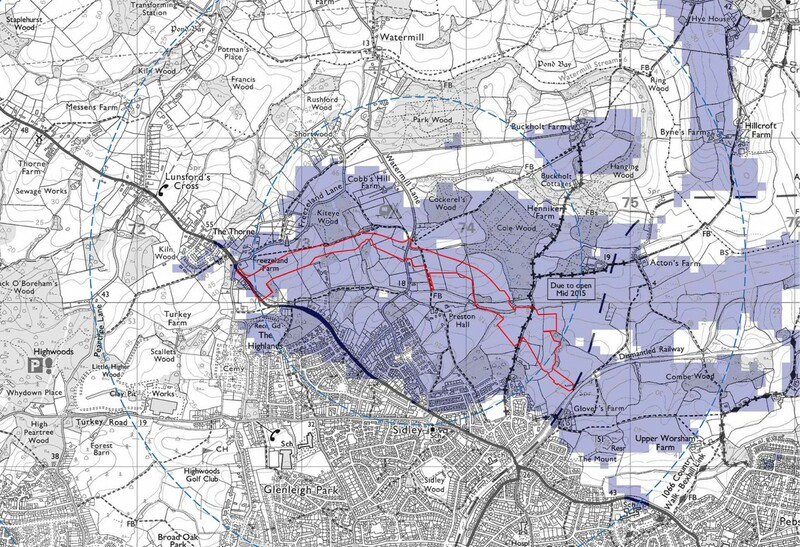 Working with external Ecological Consultants, areas were identified for habitat creation and as potential receptor sites for translocated species. Habitats were located and designed to be contiguous with surrounding biotopes allowing a seamless integration with the external landscape fabric. The design incorporated substantial provision for dormouse and badger crossing points which were positioned to aid and promote species migration across the site. The proposals have subsequently received planning approval and we are currently commissioned to discharge various planning conditions associated with the permission.